As I mentioned on my last post, Mrs Scot and I decided to take out a contract at our local gym. With some successful experience in sales (through a part time job), I consider myself to be quite a good negotiator and my secret is to use a diverse range of tactics. How can you establish a base price? This is an interesting question, but is actually becoming easier and easier. Do some research, search google, search tripadvisor, forums, search online stores. (I always have the amazon app open on my phone when shopping – Mrs Scot cringes at this sometimes)!! When in Thailand, I found a blog written by expatriates who listed rough cost prices of various tourist items. When you know the base price, you are at an immediate advantage. 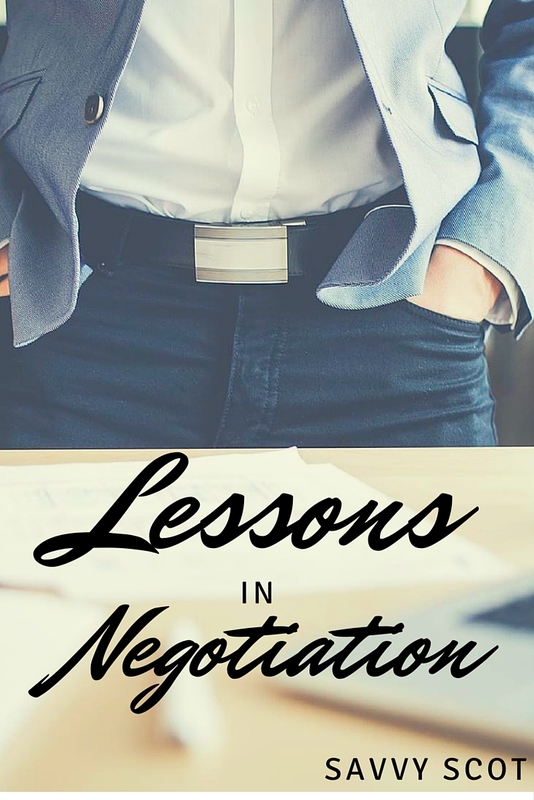 We all know rough negotiating skills: start lower than what you are willing to pay and meet somewhere in the middle, but HOW DO YOU GET THE EDGE ON A NEGOTIATION? Do some background research – research prices of competitors, check online, check what others have paid. Research the price of alternatives. Don’t become set on the model of car, or the specific gym; rather the idea of getting a new car or joining a gym. Don’t be in an immediate rush – at least don’t convey that you are in a rush to buy. Have a look at the item, go for a trial in the gym, take the car out for a test drive – THEN WALK AWAY. This seriously helps. Show your interest by all means, but make it clear that you need time to think about it. This shows the sales person that you are in control. Do the maths – if you are not great at this, don’t worry – use a spreadsheet and don’t be afraid to write things down. Work out other combinations, multi-buy savings, percentage discounts etc. You can be at a huge advantage if you know your figures. Appeal to emotions – try and find some common ground between you and the sales person. If you ask questions and show interest in them, you become more than just a sales target – you reinforce the human element of it all. Be observant to what they are wearing – clothing, shoes, jewellery – to how they speak, etc. For example, you often see Thai market vendors with football strips on. A quick 2 minute chat about the premiership could affect the starting price! Play off the competition – You have done your research, so it is time to vocalise it! This is where the true skill is required. Mention the other deals and convey that you know the market. Make up tactics relevant to the situation – I used quite a clever tactic when travelling in Thailand. I wore one of the scuba diving shop’s tee-shirts that I had bought when I went to the market. In responded to the first trader telling them that I was local and worked here. Amazingly, I was immediately given a vastly reduced price. Don’t be afraid to stick to your guns – If you know/feel the price is too high – then don’t cave in. When I first enquired about the gym membership I was previously talking about, it was £130 a month for a couple. This was far more than I was willing to pay and it was out of the question. Things change: promotions start, people leave, sales drives happen. The gym reduced their price to £49/month per person. The asking price itself was significantly reduced; without any negotiation required. I turned up at the gym on Saturday with full intentions of signing up. Upon arrival, I told the receptionist that I had forms waiting, which I had to sign in order to join. This led her to go into the membership office (probably saying that 2 people were here to join, hence causing excitement) and get hold of the lady that we had previously spoken to. I told the sales lady that we had thought about it and would like to go through membership options. I reiterated the pricing that I had already negotiated with the sales manager and told her that I was not interested in paying a joining fee. She agreed that she could get rid of the joining fees and give us the remainder of this month free. She told us that that was the best possible price she could do for us. After some small talk, I mentioned that we had also had a look around Virgin Active (I don’t even know where the club is) and that they were offering couple’s membership for £90 a month. (I had checked the website, called the club and negotiated with them – I knew the base price). I said that I really liked this club and that the staff all had great attitudes (compliments work well) but £10 a month was a significant saving. I then asked her straight – Can you do us a deal to match them. She actually looked a little embarassed – I had caught her off-guard and I had strong reasoning behind my request. Do you have any similar stories of where you negotiated a good deal? Or maybe you got horrendously ripped off? Unfortunately people in western societies generally are not accustomed to negotiating. There seems to be very few instances where haggling is socially accepted. Beyond buying a car or house, it seems people just usually pay the full asking price no questions asked. In eastern cultures though it is very common to haggle over the price of nearly everything. I agree it can sometimes be easier online, however, with practice, you can ofter wear people down in person with persistance and being clever. If they are hiding behind a computer this is a LOT harder!! Thanks for sharing your story. I negotiated the price of a flat screen TV a couple years ago based on competitors prices. They had a policy of price matching, so I brought up a competitor’s price and they reduced their price. I told the salesperson that if they came down another 20 dollars I’d buy it right then. They took off half that, and since it was still a good deal I agreed. Seriously thanks so much for this! You just read my mind when I just wrote an email to negotiate scholarship money from a school. Once they reply, I’m not going to take no for an answer and I’ll read up on how to respond accordingly. Shopping to Saving recently posted.."You Have to Marry Rich!" YASS! 😀 – let me know how you get on! Would be great to share the email conversation. I agree most of the western world doesn’t haggle over anything besides cars and houses. My wife gets a good laugh when we are In a foreign country because I will bargain for anything and everything. I like to see how low I get get the price. I wish I were a better negotiator! I even took a class on negotiations/collective bargaining as part of my MBA… and I’m still awful at it, and very uncomfortable. Sounds like you did well, plus you enjoy it and are good at it – a skill that can save you a ton of money in the long run! It is very hard to learn this skill through study I think. The only way to get better is with experience. I firmly believe that working a part-time job as a salesman when I was at school is helped me incredibly with this. I am not a good negotiator however I won’t buy something if I feel it is over priced. My husband is a great negotiator he will go back and forth with someone until he gets the price he wants. Together you are a good pair then, similar to my wife and I. You can provide the common sense whether something is worth buying in the first place and if it is fairly priced, he can get the price down a little extra! I find that any negotiation goes smoother when you have a smile on your face – it moves the conversation from confrontational to collaborative somehow. I totally agree with this comment, providing that you are dealing with a friendly sales person. Sometimes you just have to be aggressive and firm!! As previous posters have already mentioned, it’s not in the make up of most of in the West to haggle, or negotiate. I don’t really like doing it, though of course there are certain things we are expected to negotiate on, such as houses, or cars. In some respects, it is good that a lot of things are fixed price. I would get bored and tired of constantly negotiating the price of vegetables in the supermarket! As you say though, we have to remember that not all prices are fixed! Furniture shops, Markets, memberships, cars, houses etc. Hi! I, too, often wished that I was a good negotiator. Some people just seem to do it with ease. When shopping, I’ve often received the advice to not appear eager and act as though ready to walk away but I still can’t do it convincingly. I need to practice more and not be in too much of a hurry to buy something I like. Hi Theresa! Thanks for the comment! I think that is very good advice. When a salesperson realises that you are already hooked, they will know that they have control over the situation. That was key when we were negotiating the gym memberships. I wanted the salesperson to know that we didnt like that gym, but the concept of a gym – i.e. we were considering their competition! I also find it hard to control my excitement in shops sometimes with a product I want!! I think you outline one of the most important things about negotiating in your intro: research. If you haven’t done your research, you can’t know what a “deal” really is! Thanks for sharing.